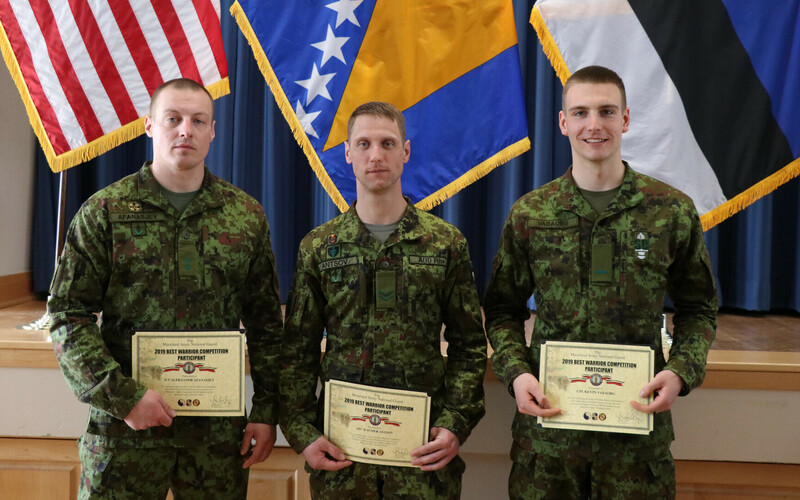 Members of the Estonian team to participate in the Maryland National Guard's (MDNG) Best Warrior Competition 2019 placed first in the officers and non-commissioned officers (NCOs) categories as well as third in the junior enlisted category. The Best Warrior Competition, a multi-day marathon of mental and physical trials, is hosted by the MDNG. The annual competition, which took place from 14-17 March this year, is held across three categories: junior enlisted, NCOs and commissioned officers. 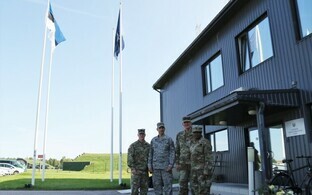 This year, personnel from the Maryland Army and Air National Guard as well as troops from the Estonian Defence Forces (EDF) and the Armed Forces of Bosnia and Herzegovina (OSBiH) took part in the competition. First place in the officers category was won by 2nd Lt. Aleksandr Afanasjev of the EDF's Cyber Command with 894 points, and Sgt. 1st Class Kalmer Antsov of the EDF's Guard Battalion placed first in the NCO category. In the junior enlisted category, Cpl. Kevin Vabaorg finished third with 770 points. On the first day of the competition, participants had to complete an 18km road march carrying 18kg of equipment. 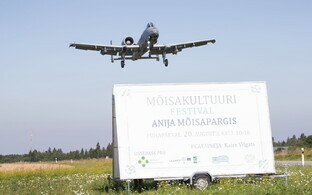 The Estonian team won this portion of the competition in the officers and NCOs category, and placed second in the junior enlisted category. 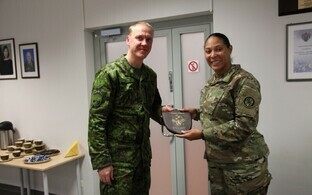 Participants also had to demonstrate their writing skills with an essay as well as their command of combat skills. 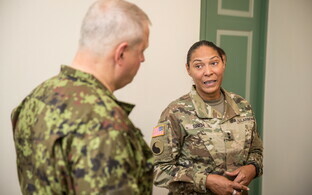 On the second day of the competition, participants competed on an obstacle course, performed stress shoots using an M4 rifle and an M9 pistol, as well as took a written test on various US Army regulations and procedures. On the third day, participants competed on an 18km orienteering course at night as well as completed various physical tasks. On the final day, contestants in all categories appeared before a committee who examined their appearance, presenation skills and knowledge of US regulations. Each member of the committee was welcome to ask contestants at least 3-5 questions. 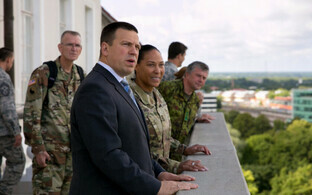 Last week marked the third time that members of the EDF have taken part in the MDNG competition.